Sailor Grey And Green, Starchild soft leather baby shoes, Sailor in grey and green. Baby blue stars on grey and green striped shoes. 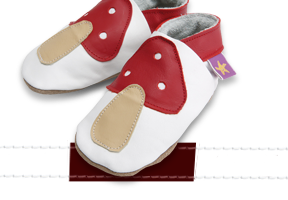 Starchild soft leather baby shoes, Sailor in grey and green. Baby blue stars on grey and green striped shoes. Daxie In Turquoise, Starchild soft leather baby girls shoes. Daxie, daschund sausage dog on turquoise leather shoes.